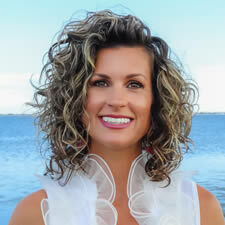 Emerald Coast Realty is thrilled to welcome Christy Smith to the team! An avid fan of design and architecture, this Alabama-native graduated from Auburn University with a degree in Apparel Design and is a loyal fan of the college football team - War Eagle! Drawing from her years of experience negotiating with multimillion-dollar companies and running several of her own businesses, she now brings her passion and attention to detail to lead buyers to their new home while helping sellers maximize their potential profit. Clients value her hands-on approach, persistence, strong negotiating skills, unrivaled global network, and insider knowledge. Christy's refreshing, first-class customer service and ability to guide homebuyers and sellers through a smooth and well-organized experience to maximize profit and minimize stress has positioned her as a valued and sought-after associate. Christy's insightful knowledge of the area and her ability to leverage all the tools available to get the best results for her clients making her the ideal choice for helping you with all your real estate needs. Trust Christy to make your paradise dreams become a reality.